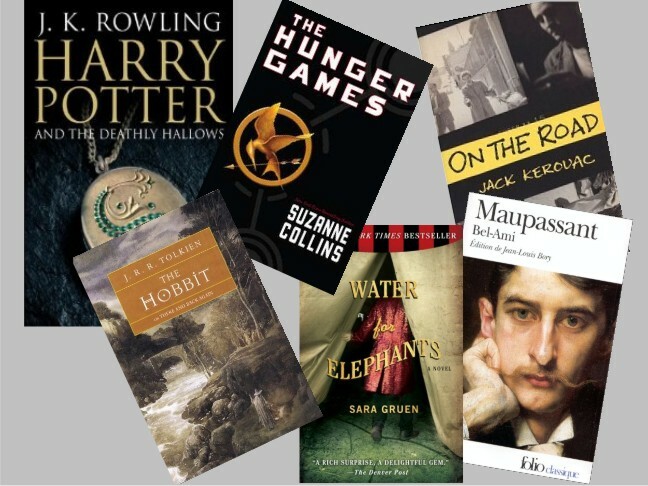 Ten terrific books that have been adapted for upcoming release on the big screen! I have a (not so) secret obsession with reading books that are being made into movies before the movies hit the theater. Many times it's just pure coincidence that something I've read and loved is being turned into a feature film, but often times I will see a random bit of movie news and find out it's based on a book and I find myself rushing off to Amazon. Within minutes I'm diving into it on my Kindle. I'm all about instant-gratification. I've gathered a list of ten great books that are hitting the theaters within the next year (or close to it). A few are already filmed and ready to go, while others are just getting started – so you have plenty of time to catch up! I won't list the stars of the films because it might be hard to read the book and form your own vision of the characters! Due out in theaters April 22nd. This one is already filmed and ready to go, but still doesn't have an official release date. Casting is nearly complete and filming is set to start soon, with a tentative release in 2012. Filming is underway and new set photos have emerged, with the film due in theaters in 2012. Part 2 – the final installment in the series – will hit theaters on July 15th. Filming is complete and rumor has it that it'll be released sometime yet this year. I read the "original scroll" first and was completely lost when they were discussing the movie's characters because the original scroll uses the real names and not the fictitious names from the novel and the movie script. So, to save yourself the confusion, you might want to read the novel version first and skip the original scroll for now. Part 1 of the film is due out November 18, 2011 and Part 2 will hit theaters November 16, 2012. The movie is being released this Friday, but it's a quick read, so you have plenty of time to read it with your kids! Check out our Interview with Jeff Kinney and Enter to win a Wimpy Kid Fun Pack! Have you read any of the books above? I've read all but one, and have to say that they were all very good. Hopefully the films will live up to my expectations! It's fun when a favorite book is made into a movie, but so often because of time constraints they have to leave out details that we love.